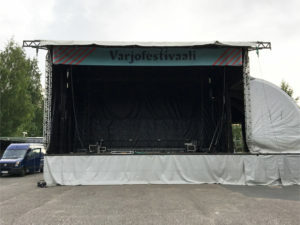 Oulun Kongressitekniikka rents also a mobilestage. Reliable equipment guarantees a trouble-free progress of the conference. We will provide you with a neat and reliable system of techniques, tailored for your event. We have systems for simultaneous interpretation, video beamers, portable screens, computers – everything that you can think of you will need in your conference. 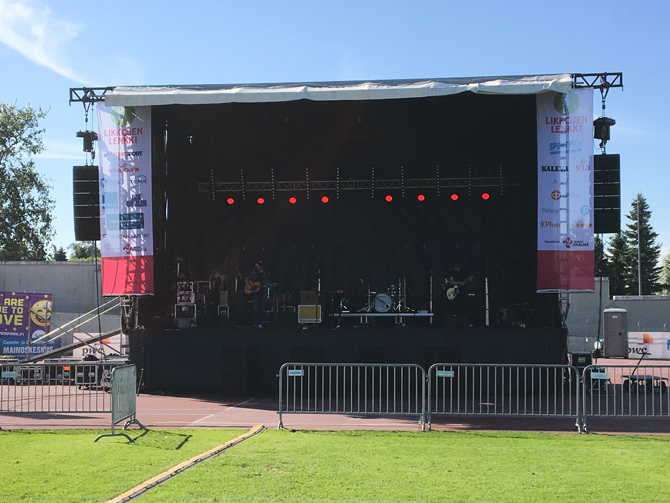 Now we also rent Alphastage 80 -mobile stage. Mobile stage is 80 m² and there can be added an extension to both sides. One extension is about 24 m². There can be added an extension to both sides of the mobile stage.